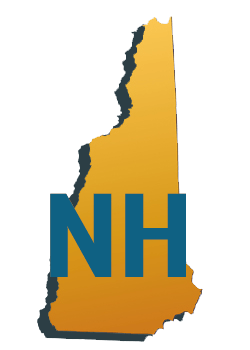 We are pleased to announce that starting this August, BABFAR will be taking over direct-to-client relationships with all of our current and future customers in New Hampshire. Tuesday’s event for the Fire Prevention Association of Massachusetts (FPAM) was a great success! With over 75 in attendance, our entire team chipped in to lead hands-on demonstrations and presentations for the group, as well as provide expert installation and unit safety advice. With over 45 years of experience leading the industry, we are always happy to share what we have learned and perfected throughout the years with others in the field. Not only do we provide the best in temporary heat, but we also provide and encourage the safest. A big thank you to Eastern Propane and FPAM for making the event such a success. Client Testimonial – HP Cummings Construction Co. I have used BABFAR for temporary heating on several projects in the 40 years I have been in the construction industry. Your firm has always provided reliable and cost-effective services. Service has always been dependable and prompt. You have sent technicians to my most recent project, Center for Communications and Creative Media at Champlain College in Burlington, VT promptly when needed which has been rare. I highly recommend BABFAR heaters to any prospective clients. You will always be my first call to serve our temporary heating needs. The service before and during the project has been professional and courteous. Thanks for all you and your firm have done for HP Cummings Construction Company over the years. We are very proud to announce that our natural gas heaters were recently reviewed by the New York Department of Buildings and approved for use in all five boroughs of New York City. This news is a big step forward in our growth plans throughout the Northeast. We are happy to be able to provide this additional product offering to our NYC clients. Client Testimonial – Piccirilli-Slavik & Vincent Plumbing & Heating Inc.
We had the pleasure of meeting Brigitte last year spring and signed up to use BABFAR for this winter’s temporary heat needs on our construction projects. From our first meeting until now, BABFAR has been nothing but professional. We have nine installed units at two job sites running currently. The units showed up when promised, startup was easy, and the cost was reasonable. The best feature we have noticed is their 24/7 support line direct to the owner’s cell. We had an emergency one night where the heater went down at 7 PM, while concrete was curing and the gentlemen was kind enough to stay on the phone to trouble shoot the unit for us. Overall, we could not be happier with BABFAR and would recommend them for any temporary heating project. Piccirilli-Slavik & Vincent Plumbing & Heating Inc.